A state of art design especially for Vinyl Industry, Our Vinyl Metal Detector is a robust and sturdy design highly suitable for Vinyl Industry, Gives accurate results even in high pressure Factory environment. 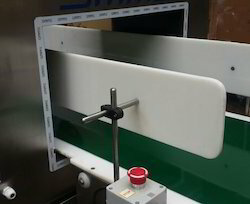 High quality Control Panel of IP – 65 grade enables our Vinyl Metal Detector a stable operation. 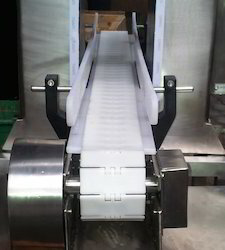 SMMS Metal Detector with Modular Belt is combined with Modular Belt, ideal for Bottled products for ease of operation; these machines are available with wide range of apertures to suit different applications. Delivering accurate metal detection and rejection with minimum wastage and smooth operation. Built with high quality stainless steel. Our international design Baggage Metal Detector is delivered equipped with high quality components and built with High quality Stainless Steel, Ideal for testing needles in FIBC Bags, this Baggage Metal Detector gives quick and accurate detection. Widely used to check FIBC, Jumbo Bags, and Plastic Rolls. SMMS Digital Metal Detector is designed to deliver user friendly interface, these machines are precise and accurate in Metal detection and rejection. Feather touch control system digital display for ease of understanding of process. Can be connected with computer to fetch reports. We are in to manufacturing of Metal Detector Conveyor System, these machines are designed with high precision to deliver accurate metal detection and rejection, combined with different rejection system it detects and rejects the contaminated product accurately to avoid less wastages. 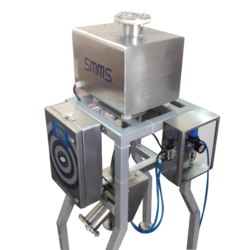 SMMS Pipeline Liquid Metal Detector is an ideal machine for liquid products such as fruit drinks and pastes, Pipeline metal detector is designed to detect minute metal contamination in liquid products, this machine delivers accurate metal detection with minimal wastage, can be set according to different product batches. Accurate metal detection in high flow production lines. 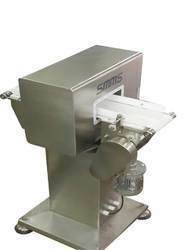 Ideal for Liquid products, pastes and slurries. Our international FIBC Bags Metal Detector is delivered equipped with high quality components and built with High quality Stainless Steel, Ideal for testing needles in FIBC Bags, this Jumbo Bags Metal Detector gives quick and accurate detection. 5. Widely used to check FIBC, Jumbo Bags, and Plastic Rolls. 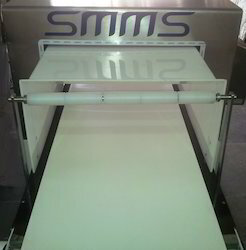 SMMS Gravity Feed Metal Detector is a ideal machine for Spice Powder application, As we have supplied machine for similar applications we undertand the requirements and issues in spices manufacturing companies, We supply machines which are built with high quality components and are sturdy. 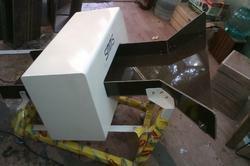 These Spice Metal Detectors are suitable for dusty factory enviroment. 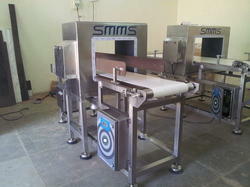 We offer wide range of Conveyor Metal Detector. 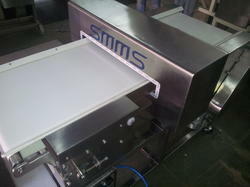 A specially designed Model for packed food, ready to eat foods, Biscuits, Confectioneries & Frozen Sea Foods. 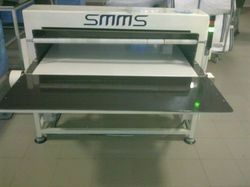 These are Tailor made machines as per various applications. With different types of Rejection Systems. We are in to manufacturing of Jumbo Box Checking Metal DetectorThese machines are used to check Ferrous, Non Ferrous, Stainless Steel metal contaminants in Jumbo Bags filled with product and these machines deliver high performance and built with robust design these machines perform with ease in high pressure work environment..
SMMS offers wide range of models to check Metal Detector For Bags, A sturdy and robust design, compatible to handle heavy load of weight, Built with high grade steel and heavy duty components our metal detector has capacity to run continuously with minimum down time. Combined with IP 65 control panel for uninterrupted working under harsh factory environment. We manufacture Metal Detector Heavy Bags, offering a quality product having highest level of Metal Detection for online application; Online Metal Detection System is equipped with various types of ejection system such as Flap type, Blower Type, Retracting Type, Pusher Type for easy operation in online product line. Online Metal Detector installed at various product line having online operation, online metal detector is equipped with various rejection systems to have online detection and rejection facility, Online Metal Detector can be connected to allied machines and can work in coordinate with the machinery. 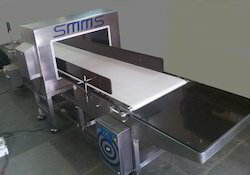 SMMS Rectangular Aperture Metal Detector are models which can be integrated with conveyor systems, stands or can be integrated with existing conveyor to check packed products. We offer wide range of aperture size to suit every product application.